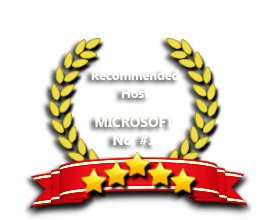 ASPHostPortal is the leading provider of Windows hosting and affordable ASP.NET 4.7 Hosting. Our price starts from $0.99 per month. Finally, the long awaited release of ASP.NET 4.7, ASPHostPortal are happy to announce the availability of the .NET Framework 4.7 for all our hosting packages. It is a highly compatible, in-place update to the .NET Framework 4, 4.5 and 4.5.2. ASP.NET 4.7 is an umbrella term used to describe updates existing Frameworks such as ASP.NET Web Forms/ MVC 5/ Web API 2 etc. You can build Web Apps using these Frameworks on the standard, desktop-enabled .NET Framework model. Use ASPHostPortal.com's website building tools to get that special, customized look for your website. A nifty wizard will walk you through the process. Other companies promise cheap hosting, but then charge extra for setup fees, higher renewal rates, or promotional services. With ASPHostPortal.com, the listed price is the number you’ll pay, and you can expect a fully loaded, comprehensive suite of web services. Our powerfull servers are especially optimized and ensure the best ASP.NET 4.7 performance. We have best data centers on three continent and unique account isolation for security. ASPHostPortal.com webspace explorer lets you manage your website files with a browser. A control panel lets you set up and control your server functions with ease. Our Windows Cloud Hosting fully supports ASP.NET 4.7 hosting. You are more than welcome to try our Free Windows Cloud Hosting before you decide to buy. You can get your Free Cloud Windows hosting account up and running within the next few minutes.